A few weeks ago, Kayle reached out to me about taking some photos of her and her boyfriend Josh. They are long distance, and he had come up to school to visit her for the weekend. These two are so cute and so fun to be around! We decided to head to the Blue Ridge Parkway for their session. 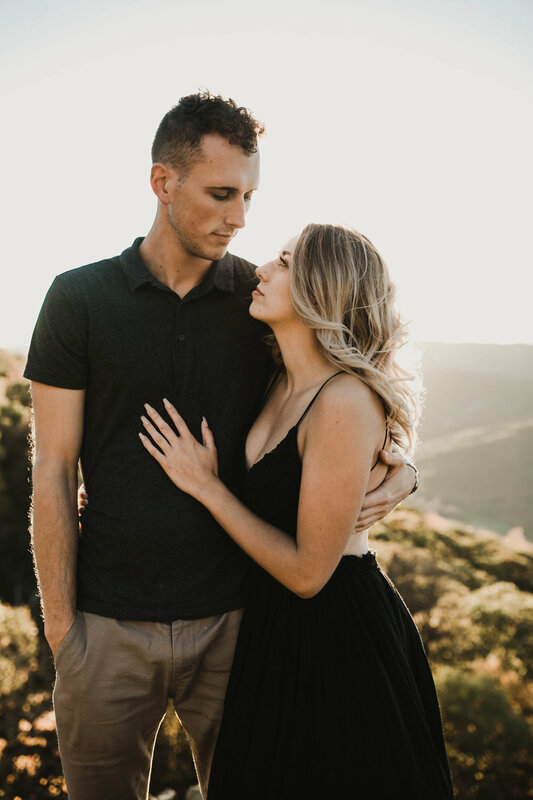 I knew that the fall colors in contrast with the gorgeous mountain sunsets would be the perfect backdrop to showcase Kayle and Josh's sweet love! Their love to each other is magnetic, and it definitely showed in their photos! Check out my favorites from their gorgeous session below!